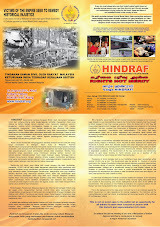 HIndraf Makkal Shakti: 25 years standing, eight (8) Seremban Indian flower shop owners forced to do business on kaki lima by racist UMNO regime. Denied permanent stalls despite 100 complaints. 25 years standing, eight (8) Seremban Indian flower shop owners forced to do business on kaki lima by racist UMNO regime. Denied permanent stalls despite 100 complaints. UMNO has repeatedly played then out. They have been pushed around and told to move four times now. This is the latest and tip of the iceberg case of the racist UMNO’s temporary, piece meal and hand out solution for the Indian poor. As usual permanent solution is never given to the Indian poor. Why deny these flower stall petty traders a permanent stall at the Seremban market when almost all other Malay muslims have all been granted their permanent stalls?